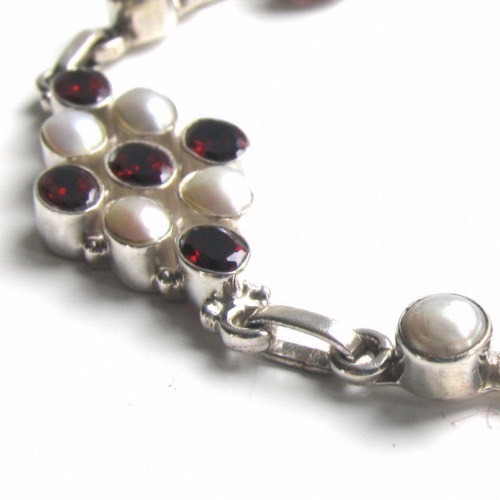 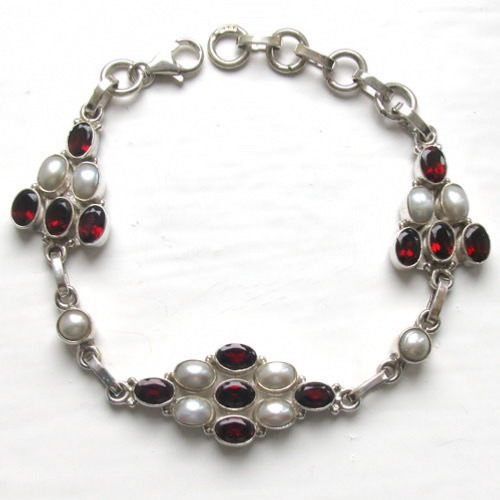 Garnet and pearl bracelet in sterling silver. 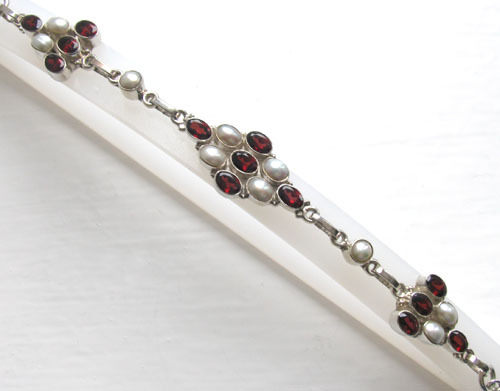 This garnet bracelet with clusters of faceted oval garnet gemstones and pearls looks fabulous on your wrist. 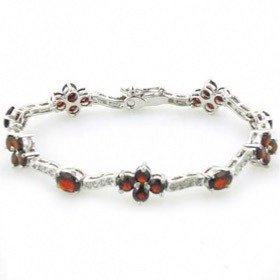 It's geometric design looks great with the central diamond showing across the top of your wrist and the half diamonds down the sides of your wrist. 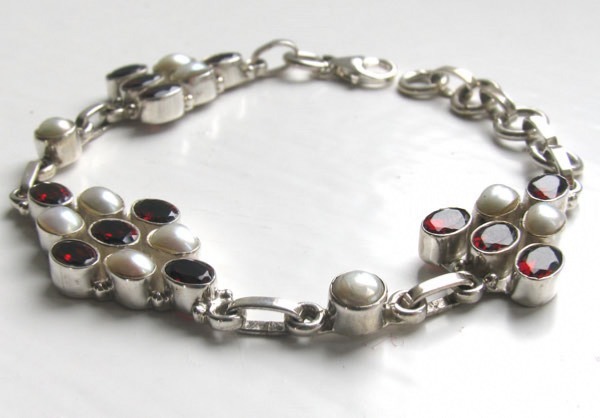 It can be worn fitted like a watch or loose. 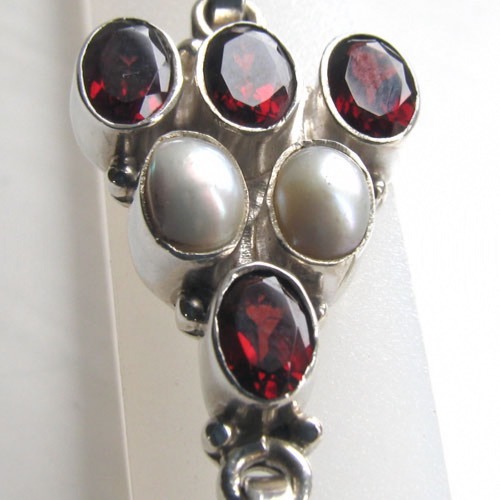 It fastens with a lobster claw clasp with extra links for size adjustment. 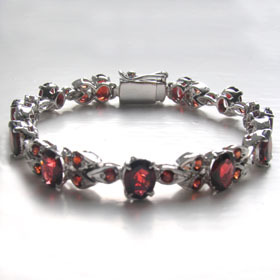 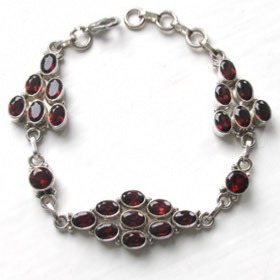 This garnet bracelet features rhodolite garnets - see About Gemstones to learn more. 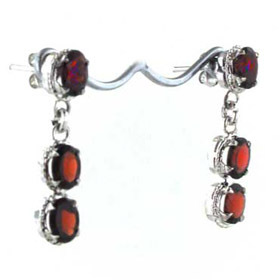 They are excellent quality. 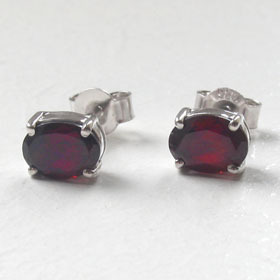 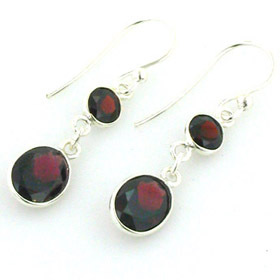 They have full deep red colour and their brilliance glistens in the light. The pearls are fresh water pearls. 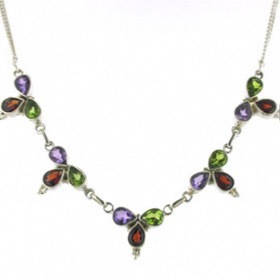 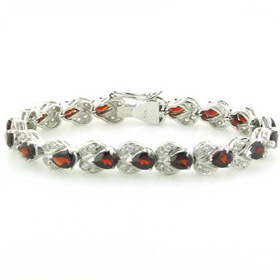 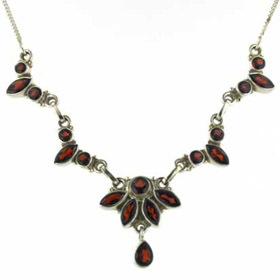 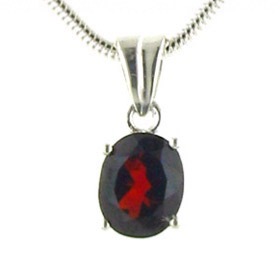 Mix your garnet bracelet with other garnet jewellery from our collection.